Thought I'd share a couple posters I designed for my daughter's first birthday party last week (I can hardly believe I've been a dad for an entire year). 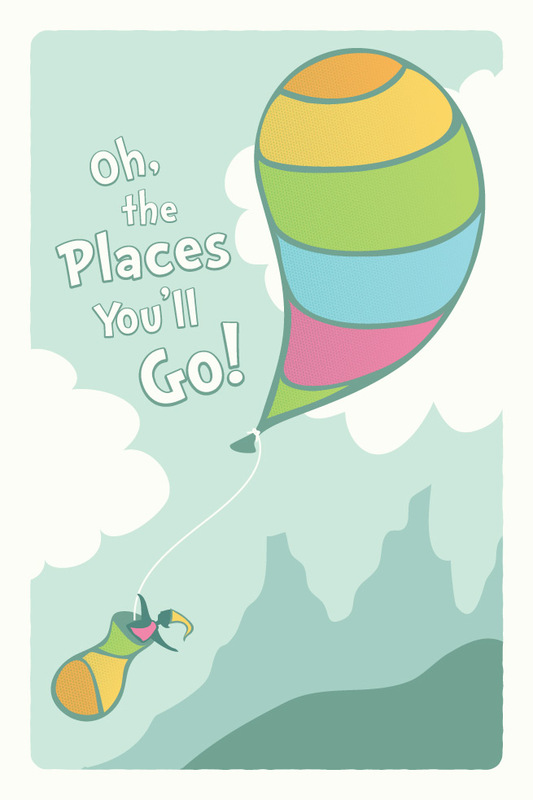 My wife had the inspired idea of theming the party from Dr. Seuss's masterpiece, Oh, the Places You'll Go!, which I think kind of perfectly describes the life we hope for for Brynn. 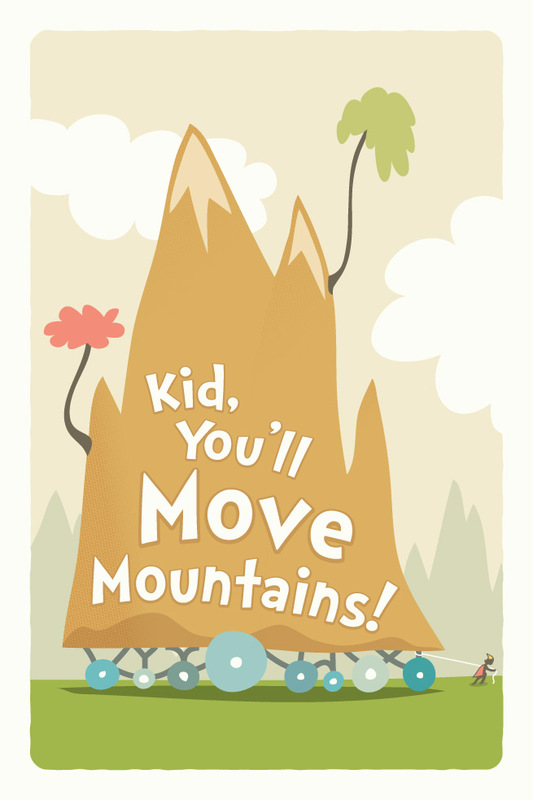 While my wife did all the hard work of making psychedelic-colored food and finding the perfect decorations, I sat down to design two posters around two essential quotes from the book – the first being the title and the second being the climactic phrase, "Kid, You'll Move Mountains!" I based my illustrations off of the original art, but simplified the look to some basic shapes and colors. For the text, I just used a free font called, fittingly enough, Doctor Soos. Awesome party decorations by my wife, Meghan.